1. 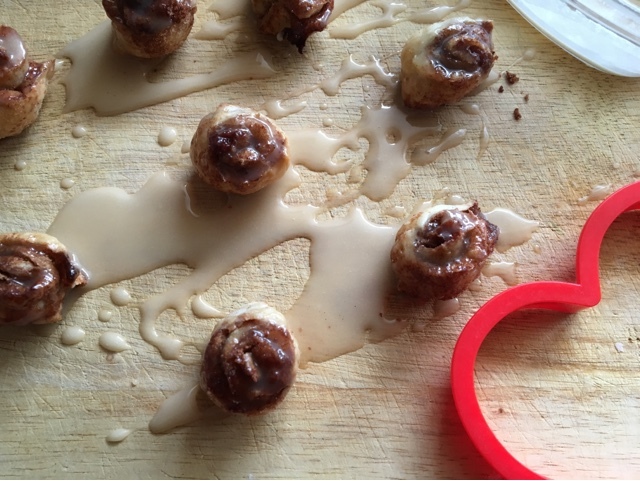 Preheat your oven to 200 C - 390 F and line or grease a baking tin. 2. Dust a surface lightly with flour. 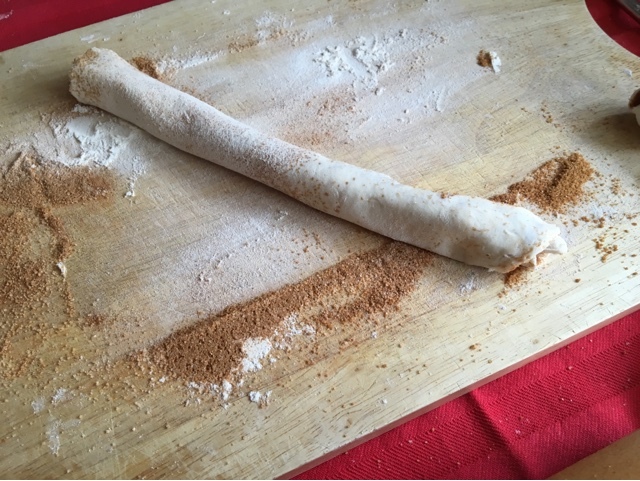 Sprinkle the pastry with the cinnamon sugar mixture and roll the pastry sheet out with a rolling pin. 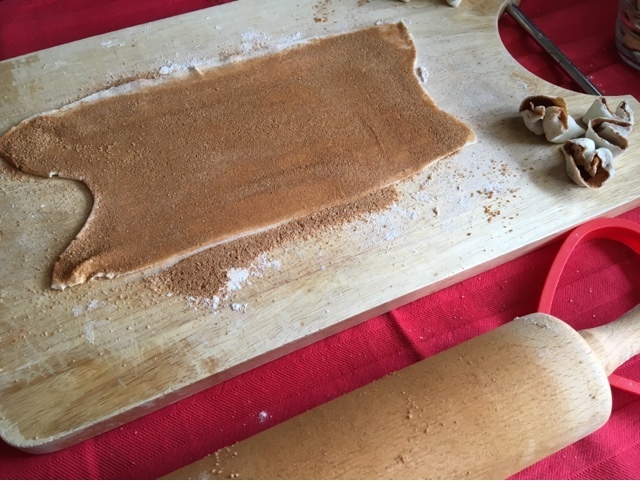 Carefully roll the pastry up lengthwise in to a log. Trim off the ends and cut the log in half. Then cut each half in to thirds. Place on prepared sheet and bake in preheated oven for about 10 to 15 minutes. 3. 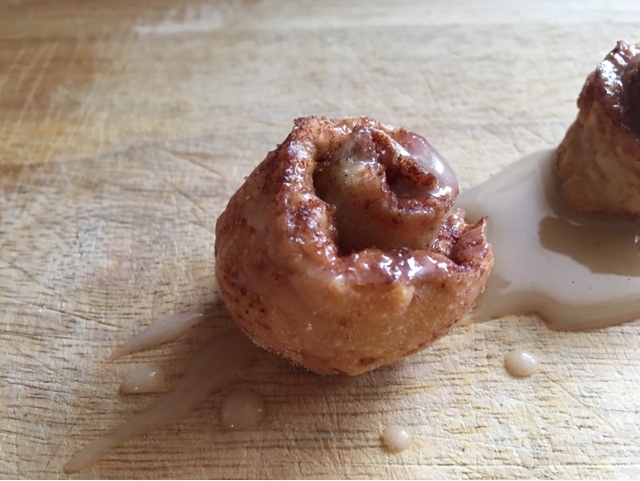 Make the glaze: In a medium bowl, combine the ingredients until you have a thick mixture. 4. Remove from oven. 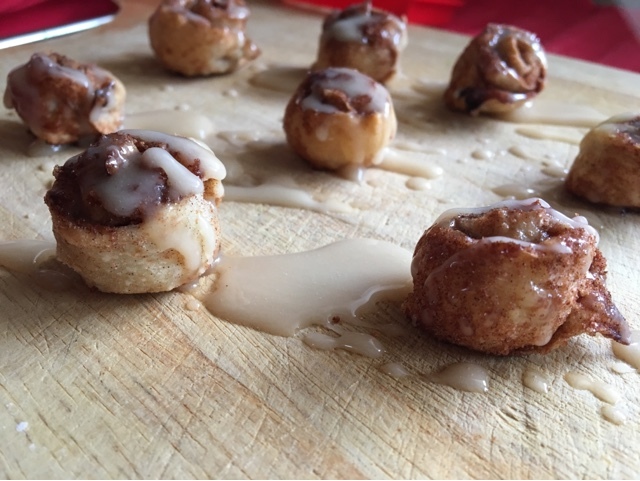 Serve warm with glaze on top.